BebiCol® probiotic drops contain one of the most thoroughly studied probiotic strains in the world. The scientific name for the probiotic strain in BebiCol® drops is Lactobacillus rhamnosus GG. Its effectiveness and safety has been proved in numerous studies in adults, as well as with children and newborns. BebiCol® differentiates from all other probiotics due to the fact that more than 1,000 scientific and clinical researches have been conducted on the probiotic. Therefore, The European Society for Pediatric Gastroenterology, Hepatology and Nutrition and The World Health Organization recommend it. What makes BebiCol® highly effective? BebiCol® is a probiotic that, if taken in an adequate dose, has a beneficial effect on health. You haven’t ordered BebiCol® yet. When healthy probiotic bacteria prevail in the stomach of our children, their immune system is protected against viral and bacterial infections. Studies have shown that the probiotic strain in BebiCol® drops effectively prevents infections in day care centers. Furthermore, it is recommended as it helps10,11 prevent hospital-acquired infections12, Its efficacy and safety has been proven in numerous studies..
A number of studies have demonstrated consistently that a lack of good bacteria strains leads to the development of allergies. 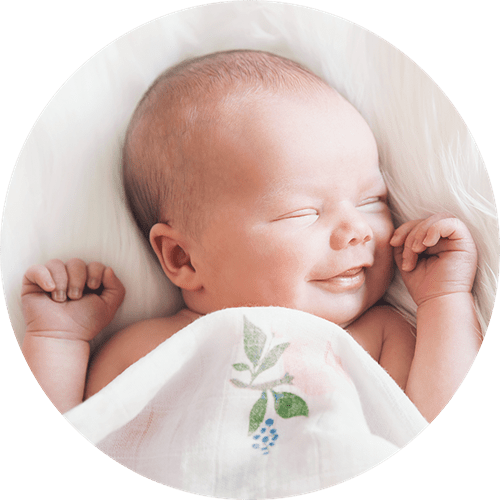 Moreover, the studies have shown that if mothers are given the probiotic strain of BebiCol® drops before delivery and children take it after birth, it can help reduce the risk of allergy by as much as 50%. The probiotic strain is especially recommended for children suffering from atopic dermatitis, eczema. Studies have shown that the probiotic strain in BebiCol® drops influences the development of gut microbiota balance and, consequently, helps reduce the risk of developing infections caused by different pathogens. Furthermore, the probiotic strain increases the secretion of the antibody IgA. Therefore, along with reinforcing the intestine barrier, it contributes to the elimination of harmful microorganisms, helping babies stay healthy. ® drops is a bacterial inhabitant of the human gastrointestinal tract. Clinically proven, it stimulates the growth of other good bacteria, and if taken in an adequate dose, it has a beneficial effect on health. Numerous studies have shown that it is completely safe and effective for children and newborns. Kada u stomačiću naših mališana dominiraju zdrave probiotske bakterije njihov imuni sistem je zaštićen od virusnih i bakterijskih infekcija. Studije su pokazale da probiotska kultura iz BebiCol® kapi efikasno sprečava infekcije u kolektivima.10,11 Takođe se preporučuje jer pomaže da se spreče bolničke infekcije12, a njena efikasnost i bezbednost dokazana je u brojnim studijama. Istraživanja konstantno pokazuju da nedostatak dobrih probiotskih bakterija dovodi do razvoja alergije. Studije su pokazale da ukoliko se majkama daje pre porođaja, a deci nakon rođenja, probiotska kultura iz BebiCol® kapi može pomoći da se smanji rizik od nastanka alergije za čak 50 %.1 Ova probiotska kultura se posebno preporučuje deci sa atopijskim dermatitisom, ekcemima. Studije su pokazale da probiotska kultura iz BebiCol® kapi utiče na uspostavljanje ravnoteže crevne flore i na taj način pomaže da se smanji mogućnost za razvoj upala i infekcija izazvanih različitim patogenima. Dodatno, ova probiotska kultura povećava sekreciju određene vrste antitela (IgA). To ukazuje da pored jačanja crevne barijere doprinosi izbacivanju štetnih mikroorganizama čime pomaže bebi da ostane zdrava. Probiotska kultura iz BebiCol® kapi je prirodni stanovnik u ljudskom organizmu (gastrointestinalnom traktu). Klinički dokazano podstiče rast drugih korisnih bakterija, a ukoliko se uzima u adekvatnoj dozi pokazuje povoljan efekat na zdravlje. Brojne studije su pokazale da je u potpunosti bezbedna i efikasna kod dece i novorođenčadi. Because it contains one of the best-studied probiotic cultures worldwide.